Roseanne Barr may have have played a vital role in having her classic sitcom series Roseanne revived on ABC, but was also solely responsible for its cancellation. After posting a controversial remark on Twitter, the network axed the show, which had already been ordered for another season. That would have been the end of it, but due to Barr relinquishing her rights to the series, ABC was able to move on in a spinoff called The Conners without her, and for that, co-star John Goodman is apparently very grateful. On a recent episode of Jimmy Kimmel Live, John Goodman came on as a guest to promote the series premiere of the new show. The actor revealed that the situation had been hard on him as well, and it's bittersweet coming back to the series without having Barr there. Goodman notes that the actress is missed on the set, but makes it clear he's thankful for her stepping aside to allow the rest of the cast to move on. After all, The Conners could not exist if not for Roseanne Barr signing away the rights, and this lets the others continue to enjoy the family's comeback, even if the matriarch is no longer there. Goodman says Barr "gave up a lot" for the spinoff to move forward, and the actor "can't thank her enough." However, it's been reported that Barr was given an undisclosed payout to relinquish her rights, which surely softened the blow. Still, it has to be painful for the actress to see the series moving on without her, knowing she blew the series comeback. 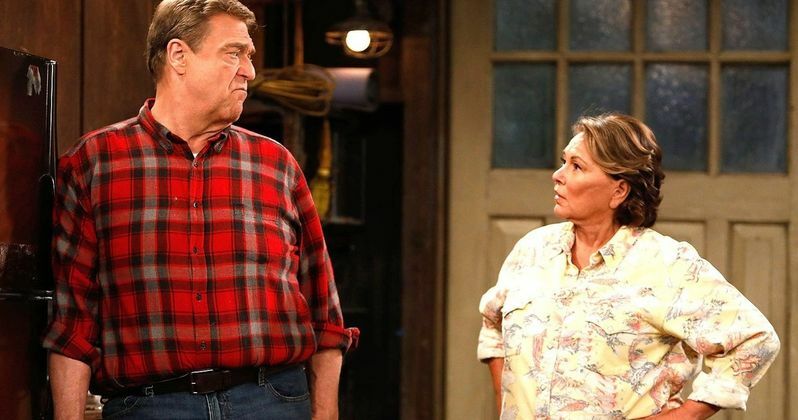 Others might have been more petty about the situation, disallowing such a spinoff to go into production, but fortunately for Goodman and the rest of the Roseanne cast, that hasn't been the case here. While we do know for sure Barr won't be featured at all on the show, it hasn't been confirmed how the series will handle Roseann's exit. In the interview, Kimmel presses Goodman on more details, but the actor refuses to give an answer, mentioning how he's already gotten himself in trouble over that before. While being asked about the show in the UK, Goodman let it slip that Barr's character would be killed, though he didn't say why. This matches what Barr herself previously revealed when she claimed The Conners was going to kill off Roseanne with an opioid overdose. ABC has not confirmed these claims, but needless to say, Mrs. Conner is most likely a goner. Even without Barr, the show is expected to bring in similar ratings as the Roseanne revival last year. Check out the premiere episode of The Conners to see for yourself what happens when the show airs on ABC on Oct. 16. You can also watch more of the Kimmel interview with Goodman below.